Once you are on the list for a training course we will get back to you as soon as possible to offer you a place on a course. All EAC beginners courses are conducted by Archery GB Level 1 & 2 qualified coaches to the Archery GB Beginners curriculum. 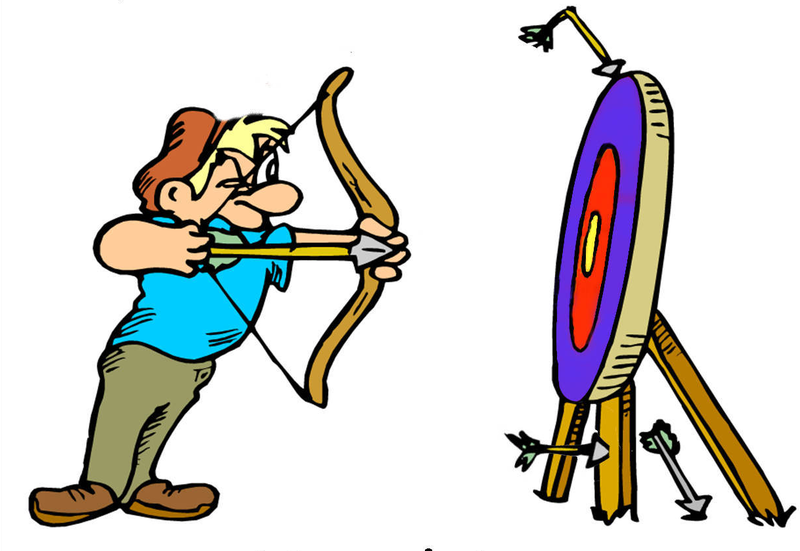 In order to receive a certificate of attendance/competency which is a prerequisite of joining Eccles Archery Club you must attened all six lessons - a total of 12 hours coaching - in sequence. Our six session archery beginners courses take place all year round depending on availability. Saturdays: 10.30-13.30 and Wednesdays: 18.30-20.30 for 3 consecutive weeks. All equipment is provided Initial training takes place in the EAC Indoor Range Cost: £60.00 seniors, £40.00 juniors (whole course, not per session). Payment at first session, cheques payable to Eccles Archery Club or pay cash Refreshments: Tea, coffee and water are provided by EAC. Soft drinks and light refreshments are available for purchase. If participants choose to join Eccles Archery Club within six weeks of completing the course they will be eligible for a discount on their annual membership of £15 (£10 for juniors). For further general information about the sport of archery please visit the Archery UK website: www.archerygb.org Please contact Mike Cushing (Training Coordinator) for further details using the contact form. Compared with many sports, archery is not expensive, but there are some upfront costs when you have completed a beginners course and have decided to take the sport more seriously. This issue may be particularly important for families. Membership of EAC is currently £130 per year per person (with discounts for prompt payment and also for regular attendance at work-days, beginners courses, have-a-go events). Junior membership is £60. There are discounts for joining part way through the year (which runs Sept-Aug), and for completing one of ourbeginners courses. New archers sometimes ask if it is possible to borrow club equipment after completing a course. We strongly discourage this for several reasons: An archer needs to have his or her own custom kit. If an archer were to venture on to the line with beginners kit they would immediately be aware of its limitations. Wear & tear on our equipment. Other beginners courses will need the equipment. A new archer can get a set of new kit for £150, upwards. Most of the shops offer new archer packages. Spend £1000 and you will be able to compete at the highest level. Equipment for juniors can be considerably less, but be prepared to buy longer arrows as the body grows! Second-hand equipment is available, but we would ALWAYS advise that you take advice on buying from an experienced archer. You need to have a bow that matches you (for draw length and draw weight), and arrows that match you and the bow. For safety, insurance and child protection reasons, as well as the Archery UK Rules of Shooting, no archery club will allow under 18s to shoot by themselves. Unlike most clubs, at EAC we have 24/7 access and there are no set times for shooting. This has caused problems in the past - including frustration for the juniors - and we insist that all juniors have a parent or designated guardian who is both a qualified archer and a full shooting member of EAC. Therefore, if a junior wants to take the beginners course then a parent or guardian must also take the lessons. Similarly, if a junior wants to join the club, then a parent or guardian must also join the club as a full shooting member. Presently EAC cannot accept juniors under the age of 10 years for training.